iPhone Plays Music by Itself? Find Fixes Here! Recently, some problems have become rampant within the iPhone community that can be summarized as the 'iPhone starts playing music by itself' problem. When in a noise prohibited area such as a religious gathering or a wedding event and your gadget suddenly pulls a fast one on you by auto-playing music, it can be really embarrassing. Some users have complained that their Pandora app pops up to play music while others say the Music app or the iTunes app or even Siri pops-up to randomly plays music. Moreover, this issue appears to be more common with the iPhone 6, 6s and 7+. Although the source of this glitch still remains unclear, we have tested and identified various hacks that can be used to fix this iPhone plays music by itself glitch and they apply to fixing iOS 12, also. How to Fix iPhone Randomly Plays Music? Although the problem might be looking defiant, there exists the best method to sovle this issue. This involves the deployment of certain novel iOS recovery apps. These are reputable applications that can be used to fix issues that non-conventional hacks cannot tackle. They can be used to fix these issues and even to totally wipe and reinstall iOS if issues are very serious. 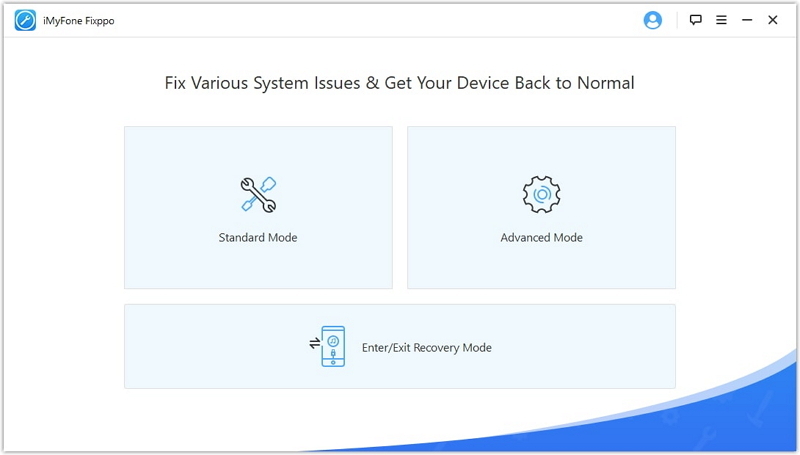 A highly recommended recovery app for these kinds of iOS repairs is the iMyFone iOS System Recovery which possesses 3 repair modes to suit your iOS needs; Advanced Mode, Standard Mode, and the Quick Fix Mode. The application is 100% secure, easy to use and compatible with almost all iOS versions and devices up to the iPhone X and the iOS 12, with unparalleled success rates. But for most times, the 'iPhone playing music by itself' issue does not need this tool to fix. To make sure whether it's a firmware issue that requires a system repair, try the following tricks to check. 1. Start the Music app. 2. Open the Music Library in the app and tap the 'edit' icon in the topmost region of the screen. 3. Uncheck everything on this list. Exit the list and leave your phone for a while to confirm whether the iPhone starts playing music by itself problem still occurs or not. 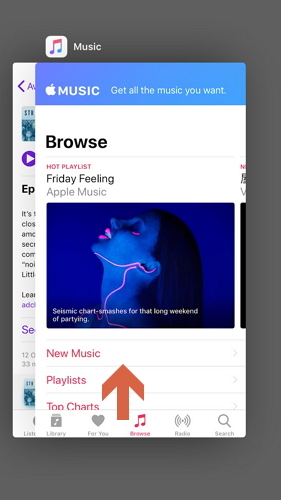 In most iPhones, whenever the lock screen is on and music is playing, the music widget can be found accessible on the lock screen. In some instances, this widget can be triggered by tapping the shaking the iPhone thus changing or altering the song. This occurrence can be misinterpreted as the issue that iPhone starts playing music on its own, hence users should confirm whether the change in music or abrupt play is linked to their shaking the phone. Certain Apps such as Pandora have been identified to be one of the major cause of this issue. 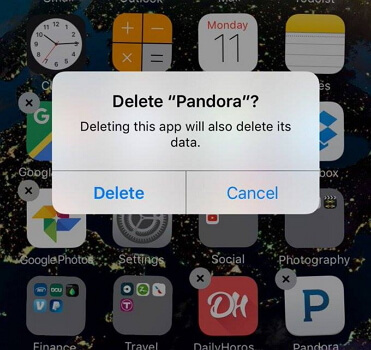 To avoid and eliminate the autoplay option that is plaguing your device, it might be critical to delete the Pandora app. To confirm that the app is the cause of your problem, delete the app at the moment when iPhone music starts playing on its own. Should the music cease upon app deletion, then it can be inferred that the glitch was caused by the app, consider other fixes if otherwise. 1. Open Settings from the home screen. 2. Under Settings, tap General settings. 3. Turn off the 'Handoff' switch or the 'installed app' switch. Moreover, in the case of the 'iPhone/iPad plays music by itself' problem, it is possible that the Music application might need to reconfigure or be Force Closed. Force Closing can be done via double tapping the home button to reveal the background applications. Identify the Music application and swipe it up to force close it. If this problem still persists after executing all the above fixes, it would be crucial to restart your iPhone to resolve any system related glitch. This can be achieved by long pressing the power button till a slide option pops up. Slide the device to power it down. After the phone has been completely powered down, long press the power button till the apple logo shows to restart it.